TV extras role has so much to offer! Went for an extra part in a film, now being considered for a lead. Right place right time. If we go by definition, TV extras are people who are required to fill in the background of a scene or a dance sequence or action sequence in a TV show while the main action/scene is being performed by lead actors. Most young and struggling actors refuse the extra work as they find it petty. Conversely, television extras role has so much to offer. Extra work offers the easiest way to young actors to make their way in to the otherwise challenging and dynamic world of the entertainment industry. This is because for TV extras, producers and directors do not look for exceptional acting skills and experience. They just need some people to appear in the background on their TV show or film and therefore do not mind hiring people with little or no experience also. Film and TV extra work promises wonderful learning opportunity. As a TV extra you get a chance to work with famous producers and directors and experienced and talented actors and thereby learn a lot many things from them. You can observe how lead actors deliver dialogues; how they use their body postures and their gestures, and the way they change their expressions with change in scenes, and so on and so forth. All these are practical things which you can’t learn from reading any books on acting. In addition, TV extra work promises a lot of fun and excitement as well. Sometimes, TV extras are required to accompany the unit to outdoor shoots to interesting places. Depending on the requirement of the TV show or film, the shoot can be domestic or international. Most importantly, TV extras are well paid. You get a decent amount for the little work that you are expected to do such as sitting in a restaurant or a bar, or dancing in the background in a beautiful outdoor locale. If you are not really interested in acting but are looking for some additional source of income, you can be on TV as an extra. By working in multiple episodes in a single day or working overtime or in late night shifts, you can earn even better. So, if you are interested in getting television extras work or film extra work and are wondering where to look for, just log on to www.castingnow.co.uk Here you will find online listings of TV extras work and film extras posted by renowned casting agencies, film producers and directors, and production houses. 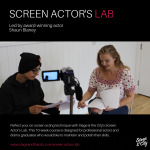 The TV extras work listings will offer you complete details about the nature of role that you will have to perform as an extra, the duration or number of shifts for which the extras are required, and the money that you will be paid for the same. You can apply to the extra works that meet your specific requirements. You may also post your resume on the website to get calls from casting agencies and producers.